Looking for the perfect Photo Booth rental in South Florida? Don’t make the mistake of hiring a cheesy carnival looking photo booth from the 90’s! Wedding & Event Planners in South Florida trust Photog Booth the most because they know how to blend in with beautiful decor and provide a professional guest experience. Photog Booth is a modern, personalized, design-conscious photo booth that packs a serious punch of fun! We exist to capture every moment and make your event remarkable! After doing professional wedding photography in South FL we noticed a huge lack of quality in the photo booth industry. In 2012 we set out to do something totally different. We launched Photog Booth and quickly became the talk at every event. Clients and guests can’t stop raving about our beautiful open-air presentation, huge creative backdrops, designer made print templates and insanely great image quality. But first lets talking about something that everyone is concerned about. If you’re interested in getting a good price breakdown on what you can expect to spend head on over to an article we wrote on How to Easily Find the Best Photo Booth Rental Prices. There you will find some really helpful insight so you don’t start building wrong expectations and end up with a crappy booth. What the heck does your booth look like? Don’t let that be said after putting in so much time and money to plan your event. No body wants to stick their photo booth in the lobby at their event. Show it off and put it near the dance floor! But first check to make sure the presentation of your booth is nice looking. Guest Favor Prints or Eco Friendly booth? Prints are probably the most sought after request we get for a photo booth. One because printing is generally notorious for taking a long time and the instant gratification for guests to receive a hard copy at the event is exciting. Two it allows your guests take something home with them and remember your event. Typically people put our prints on their desk or fridge for several months even years after. You can check out examples of all our print templates to get a feel for what each printout look like. They’re pretty awesome I might add! However, if you’re the type that is more interested in saving the world and some money we highly recommend renting an Eco Booth. 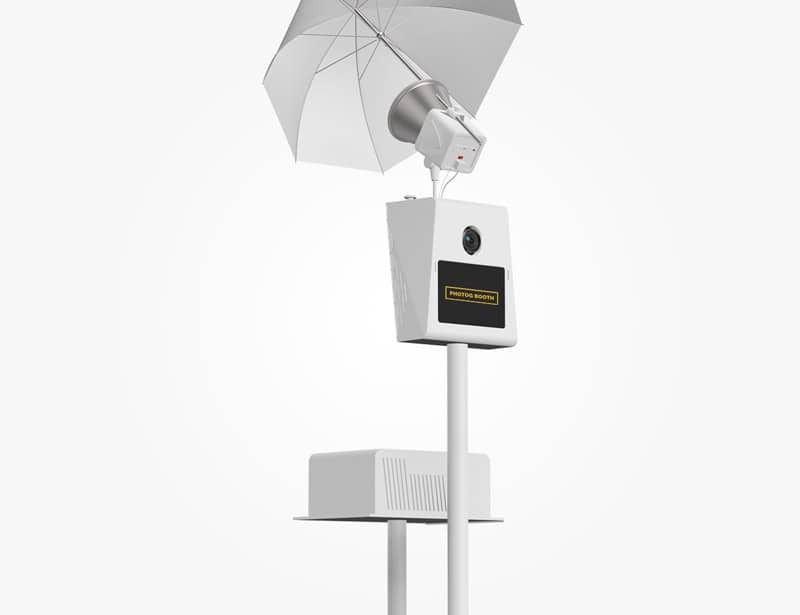 The Eco Booth is basically a photo or gif booth just without the printing capabilities. These are on the rise in popularity for photo booth rentals in South Florida. If you’re wanting something totally different from what we offer in our backdrop collection you can always DIY your own to blend in with your decor and stand out at your event. Otherwise head on over to our most popular article that details 56+ Stunning Yet Simple DIY Photo Booth Backdrop Ideas. We promise you’ll fall in love with something. WARNING – Most South Florida photo booth rental backdrops aren’t the greatest quality. You might find the original image of a backdrop online but in person it could be used, dirty and cheap looking. A good way to avoid this is to make your own or take a look at the presentation of the company’s brand on their website. Do they seem to care! Should You Get a GIF Booth or Photo Booth (still picture)? Choose wisely!